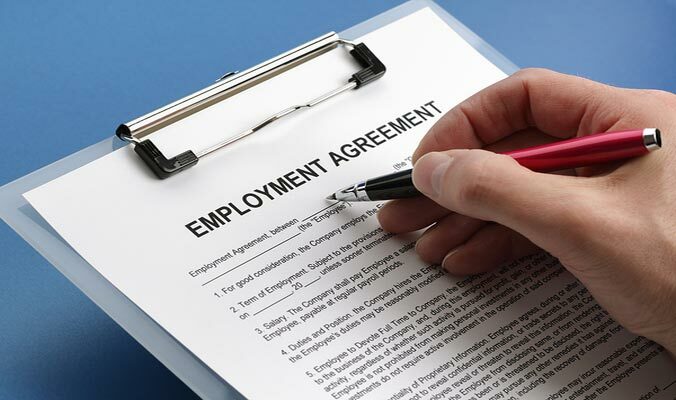 These clauses are becoming common as employment contracts; nevertheless they are implemented only if they are impacting the employer’s business which requires shielding. If the non-compete agreement was signed by the employee during their employment, they are less likely to be implemented because they didn’t get anything in return for signing it. However, when the clause is signed before the starting of the job, it is considered as a pre-condition of the job. In order to protect a legal profit-making interest. These interests can be any confidential information about the employer or information related to clients that was not meant for someone else. This information may or may not facilitate competitors in money-making. Enforcement takes place but does not exceed more than is necessary for the employer’s protection. The restraints should be reasonable and applicable only till a particular time period. To deal with any unreasonable part of the restraint, courts are properly trained to separate them instead of canceling the whole clause. In a few states, if the restraints are unreasonable, the court may reanalyze the unreasonable restraint. If the court believes that the employee’s violation of the law will not harm the employer significantly, it will not grant an injunction to restrain an employee. To ensure that the restraints are legitimate, a lawyer’s assistance is usually needed. A non-compete agreement is effective as long as it is stating reasonable restraints, and not overprotecting the employer’s interest. It should be made in such a way that the employer is able to protect their business as well as giving the employee the right to earn a living. ⟵Why an Ecommerce Business in Australia is a Good Idea in 2015?